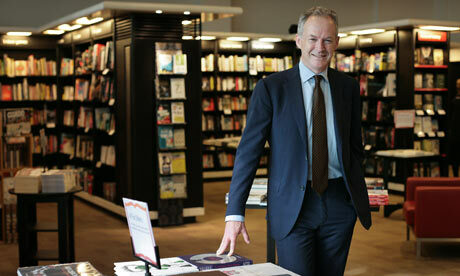 My Interview with James Daunt Of Waterstones. As a bookseller and a writer, I love the publishing world. What more could you want then being surrounded by shelves of the most amazing stories and creative talents pulled from very interesting minds and peoples experiences. After performing on stage for years, I’ve slowed down to combine my creative nature with the story telling world. I can now sit at home and have the cat on my lap and a coffee beside me while working on my own. To me that is absolute heaven. In the last few months, I’ve been taking a full time Professional Writing MA at Falmouth University, ( I’ve just passed!) and whilst working in Waterstones part-time, I managed to interview James Daunt, Managing director for my Industry module. I really wanted to talk about the survival of the book industry, maybe a question he’d been asked numerous times, but because I feel strongly about the physical book and so do many customers, I knew it wasn’t a question he would be bored with. I wanted to speak to the man himself and confirm what I’d been witnessing in the shop. JD: The e-book has it’s natural place. It can be appropriate for travel, for saving space in the home, the green point of view and the digital book is cheaper, making it a finance choice for the customer. Amazon is all about pushing the digital book because they are interested in what they can sell beyond that. But publisher’s recently took a stand against the price of Amazon’s digital’s prices and took their books off the Amazon site and renegotiated, led by Hachette, Macmillan and Harper Collins, to conclude that the publisher sets the price of the digital book. This allows publishers to keep the price to a level that doesn’t distort the market in favour of digital. This is a huge significant development because Hachette had for almost six months been locked in a bitter dispute. This means the publisher has gained back some control with their sales with the physical book. Amazon still have a monopoly on many books with publishers, and we all know about the corporate tax that they avoid by registering in the EU and avoids paying the tax it should in the UK. Waterstones and other business’s have to pay a high level of rates that online businesses don’t, and it has affected many businesses not just Waterstones. Me: What about the physical book? Are people still buying enough physical books to keep the shop and other book shops open and why would they come in to Waterstones if you could buy cheaper elsewhere? JD: You have to make Waterstones an interesting and attractive shop. So you make people come into them more, buy books and come back. If you sell better books your customers read them quicker and come back for more. An old system that’s been changed in the way the shop looks, is that the Publishers use to pay a premium for their chosen books and Waterstones would put them in the shops exactly how the publishers dictated, Waterstones sold slots and campaigns were created. This meant the shops all looked the same. We made a huge decision to change this, it took away an incredible amount of income for Waterstones but it meant they have the decision on what’s going to sell, displayed and what gets chosen for The Book club and The Book of the Month. I also think this gives a greater chance to other authors who might not have been otherwise selected as the chosen title with the publishers. Waterstones has the choice of what books to campaign, and now they are selling better books, the shops are individualised to suit the market area they are in, and the bookseller is ‘handselling’ the books Waterstones decides on. It’s organic. I asked if the publisher missed that level of control, if they were unhappy about it. But he said that because the books Waterstones are choosing are selling well, and the publishers aren’t paying Waterstones for the marketing, it’s working out for both sides. Of course, my experience of being an independent bookseller, I know that making a shop welcoming works. I enjoyed listening to someone who obviously enjoyed not only his job but the product he sells. (Yes he earns more than me!) But I have found the human nature of the need for a physical book fascinating. I don’t believe the book will disappear. I think they are so much part of our DNA and culture that they will always exist and there will always be a need, an appetite for them. Most of the customers I speak with are book fanatics: to hold a book is a kinaesthetic experience, and you find people buy them even if they don’t have the time to read. (Or is that just me?) This is what brings people back, encourage them to come and see and pick books that have been carefully selected and chosen for every genre on the market. I asked James Daunt what Books he loves to read. JD: The classics are still excellent and continue to stand the test of time, but I read quite a lot of the new literature so that I can talk to the customers about those books in the shops. Pogles Wood, Castles and Watch With Mother. I’ve bought a new book. 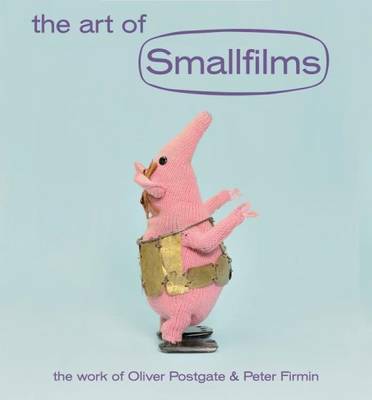 Smallfilms was the work of Oliver Postgate and Peter Firmin. No doubt some of you will know these wonderful creations. 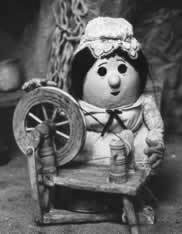 The Clangers, Bagpuss, Ivor the Engine etc, and all of them became part of the Watch with Mother series. The book is filled with wonderful photographs of the original puppets and the pictures are fascinating. My favourite is Pogles Wood. 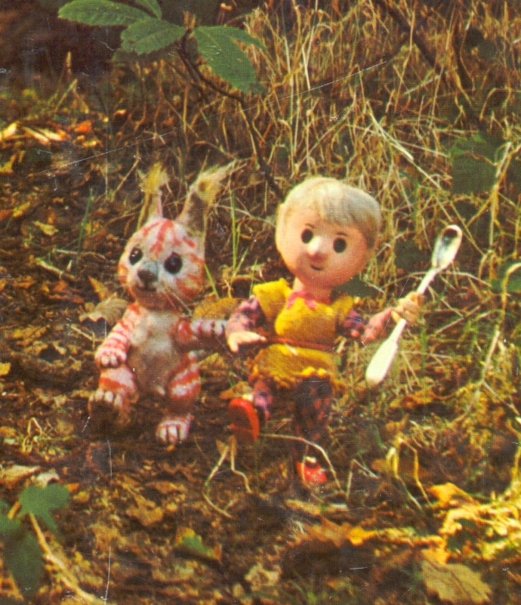 The first series was originally called The Pogles, and only broadcast once due to the BBC’s thoughts that the witch and the storyline rather too scary for children. It was quite dark, filmed in black and white but I remember loving it. 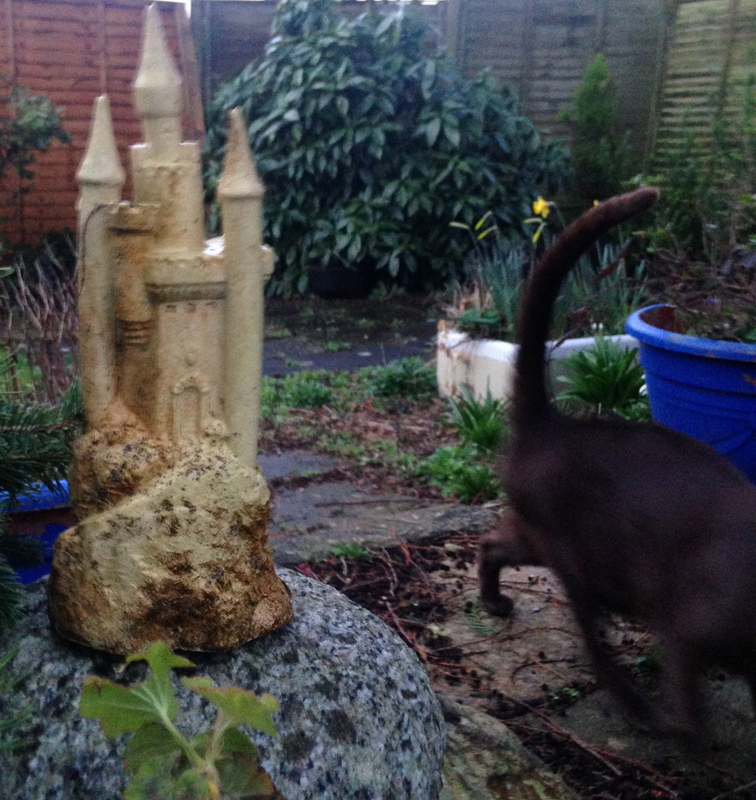 I had a bedside lamp in the shape of a castle when I was small. (In the garden now.) At night I was convinced tiny people came out of it while I slept. The Pogles only confirmed it was true. Look at these puppets! It could be nostalgia on my part, but after watching the first three episodes last night, after many years, (cough) I still think the films are remarkable. 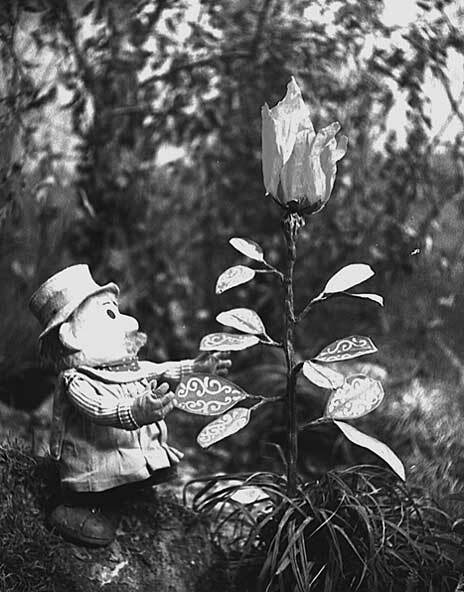 The old black and white stop motion matures the strangeness and delightful story lines. The narrative of The Pogles is odd but brilliant for a child, so natural you wouldn’t stop to think about it when you were young. Like the Teletubbies! The magic bean was the first episode, and introduced the magic plant that came to stay with Mr and Mrs Pogle, and even though the films were old, I had to keep watching more to find out what happens. 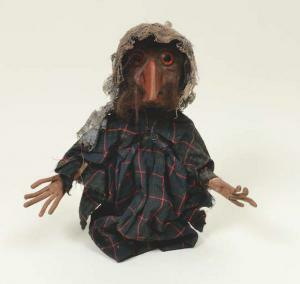 I can’t help looking at the puppets in the Smallfilms book, and feel a deep sense of affection for them. It’s where my love of dark and atmospheric magical story-lines began. I recommend this book for anyone who grew up with these wonderful children’s programmes. It’s always good to go somewhere you love!